As a director of sport it is rare for a week to pass without some form of contact from a sportswear company. This not only highlights the wide variety of suppliers now offering clothing but also what an important part of a school’s daily provision the actual clothing is. It is very easy to get drawn in by the fabric technology or the wide range of garments on offer that meet the latest trends, but in my mind there has to be a balance between ensuring that the sportswear students have not only provides the best functionality but also a consistency across design, ensuring the school’s ‘visual identity’ is maintained. 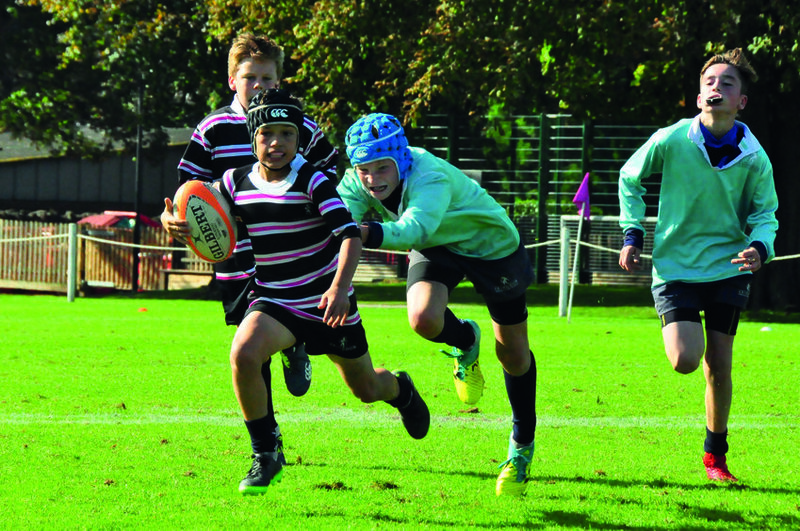 With a vast array of sports on offer, the list of sportswear can often overshadow the other school uniform required which can lead to both a potential mixing of kit as well as a very large shopping basket for parents. At Abingdon we have circa 20 items of sportswear ranging from socks to rowing suits, and although some items are sport-specific, others are compulsory for all. I believe that it is vital for the compulsory items to support the main programme both in terms of curriculum delivery and competitive opportunities. The easiest example of this is the school’s white PE polo shirt which also acts as our playing shirt for badminton, tennis and squash to name a few. Likewise, where a school is offering items that are extremely similar in nature there should be consideration as to the need for one or multiple items. Three years ago we had four different pairs of shorts in our sports kit, black rugby, black football, black PE and white; this not only proved confusing but also costly to parents so we moved to one hybrid short that catered for all sports. Over the past two years at Abingdon we have worked with our schoolwear provider to improve the fabrics and cut of some items to make them more efficient for the boys, however, we have also ensured that we maintain the designs that are traditional within the school. This not only provides consistency but also an appreciation of parents who have siblings of different ages within the school as well as the School’s Parent Association second-hand uniform shop. Moving away from the fabrics, the most significant alteration (although quite small) is the change to a short-sleeve rugby shirt for all boys. It was felt that the traditional long-sleeved shirt was not only outdated but provided added difficulties for the boys on both a practical and performance level, most notably with regard to ‘layering’ in the colder months. Many boys just relied upon this one garment when training and playing, which in the colder months simply was not enough; by moving to a short sleeve we have seen many more boys wearing base layers. There has always been a demand by students for bespoke items for each sport, especially at the senior end of the school. First Team kits certainly have their place as they not only provide clarity but also a point of aspiration. However, it has also become apparent that on entry to the sixth form students would like to have a slightly different identity. As the school uniform changes with moving up to sixth form, so should some of the sportswear. This year we have introduced a sixth form design for rugby, hockey and football that is identical and has both a nod to the school’s standard kit but is also a hybrid to the First Team kit. 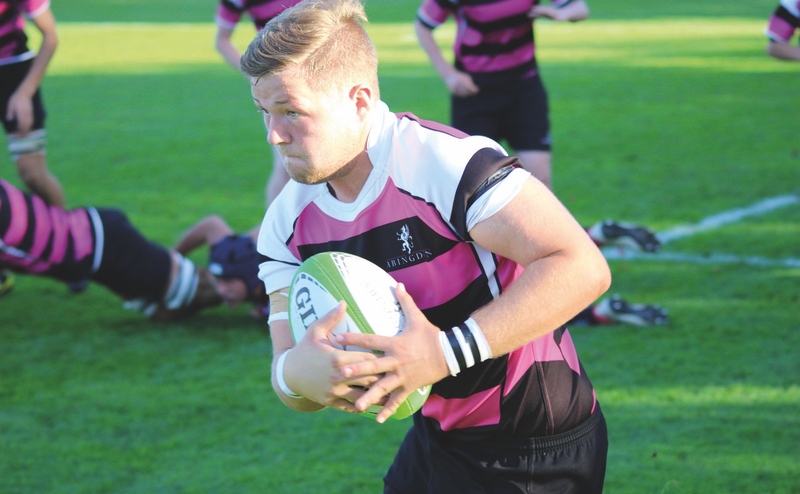 At Abingdon the First Team kit is pink and white hoops whilst the standard top is black with thin pink and white hoops, so in essence we made the sixth form top ‘half colours’ of black and pink hoops. This, combined with a better performance fit and material, has certainly provided the team identity the senior boys wanted. I believe that it is vital that directors of sport work closely with their sportswear provider to ensure that all items are the most suitable possible for their students, their various sports’ needs as well as ensuring a consistent approach to the visual identity of the school.